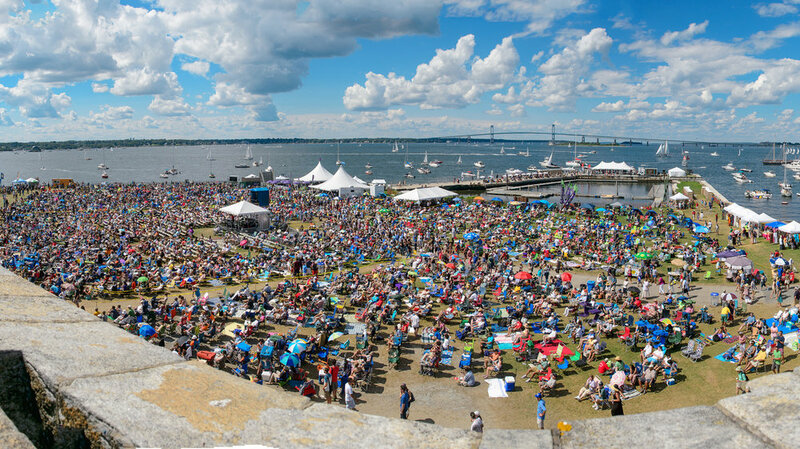 Newport Jazz Festival, Newport, R.I. I'm proud to be presenting a talk at the 2018 Newport Jazz Festival, and while it isn't technically a book-release event, it falls close enough to count. My talk, Lensing the Newport Mob: On Jazz on a Summer's Day, is a historical and critical analysis of Bert Stern's film, which famously documented the 1958 Newport Jazz Festival. (So in a sense, it's a 60th-anniversary observance.) This was originally the keynote address for the 2016 Film and Literature Conference at Rowan University. I'll be using images and music to illustrate the talk, and answering questions afterward. Please join me for Lensing the Newport Mob during the first day of the festival, in the Storyville space at Fort Adams State Park.